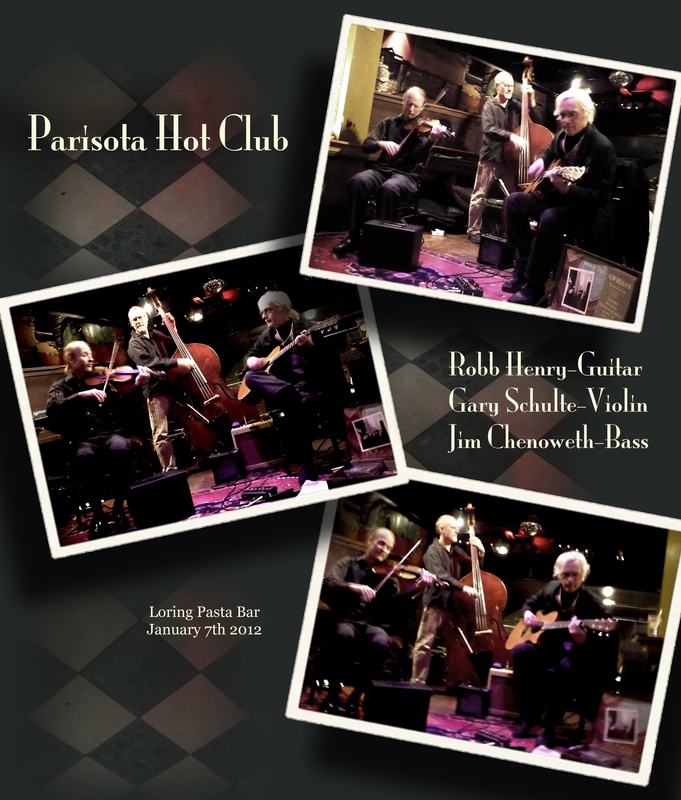 The standard trio of Guitar, Violin and String Bass is the basic configuration of Parisota Hot Club. 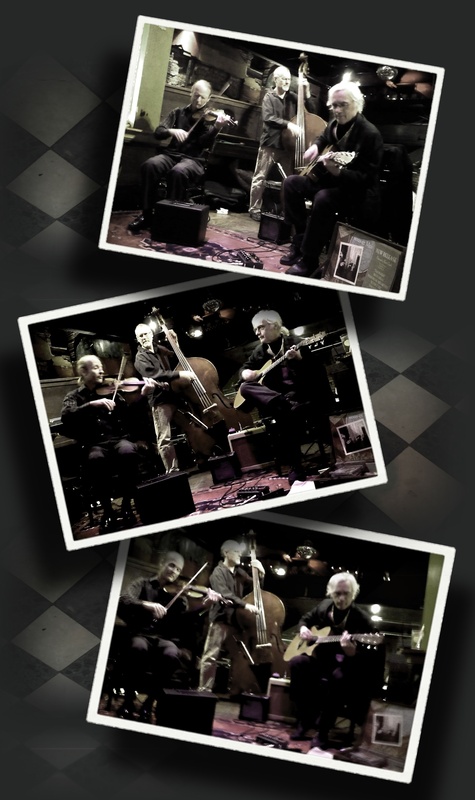 Variations on this are also available ranging from guitar and violin duo to a quintette with either drums, accordion, clarinet, additional guitars or violins added. 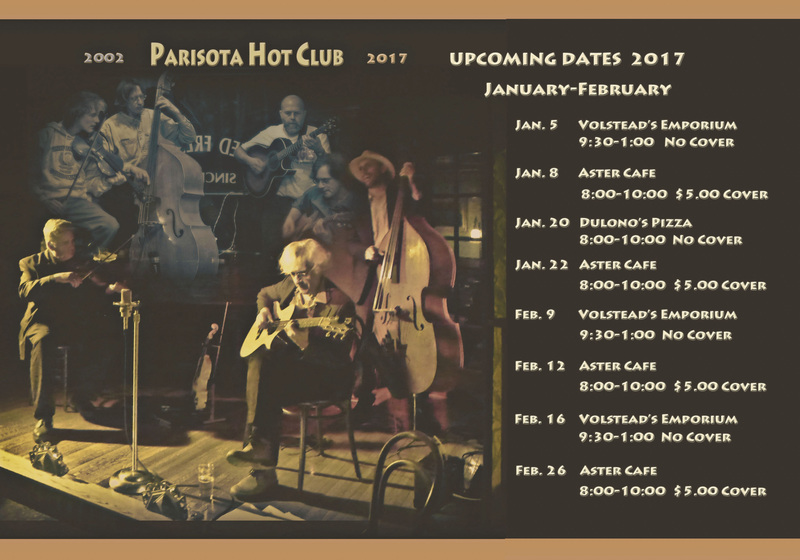 Seven piece has been the largest PHC performance group to date. Guitarist and founding member Robb Henry has played host to a number of musicians over the years, performing as guest artists or additions to the basic group. 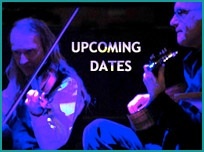 Violin: Gary Schulte, Jim Plattes, Randy Sabien, Tom Schaefer, Jim Price, David Stenshoel, Kip Jones and Zack Kline. 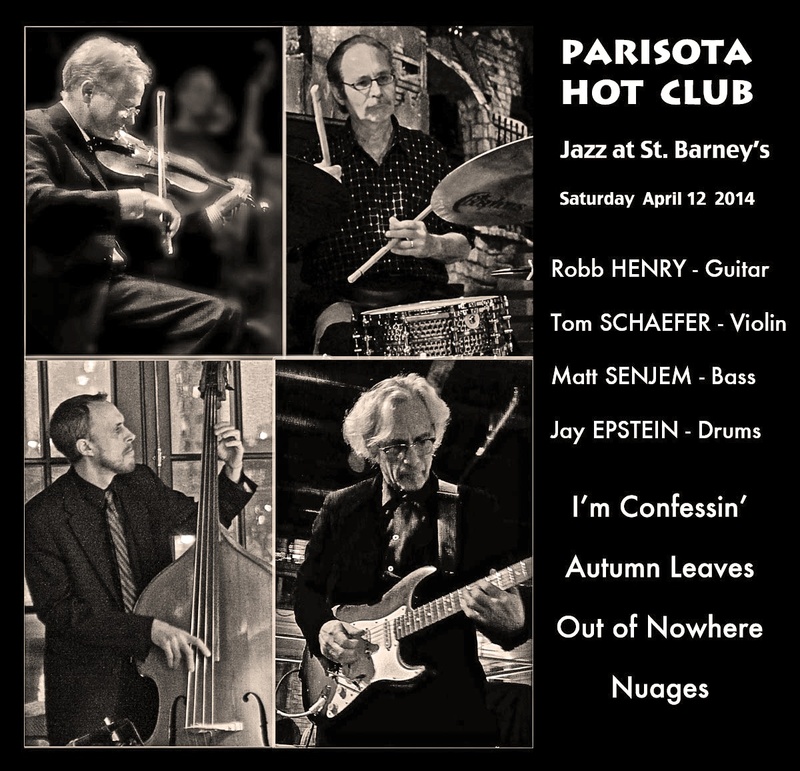 Guitar: Sam Miltich, Reynold Philipsek, Mark Kreitzer and Dean Harrington. Bass: Jim Chenoweth, Keith Boyles, Jeff Brueske, Matt Senjem, Tom Lewis, James Buckley, Matt Peterson and Matthew Miltich. 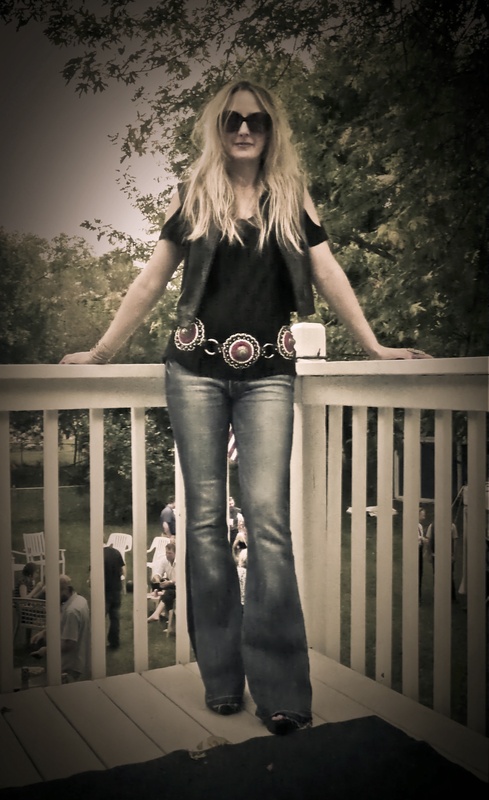 Vocalist Connie Evingson has done numerous shows with PHC dating back to early 2004 and the band appears on her 2005 CD “Gypsy in my Soul”. 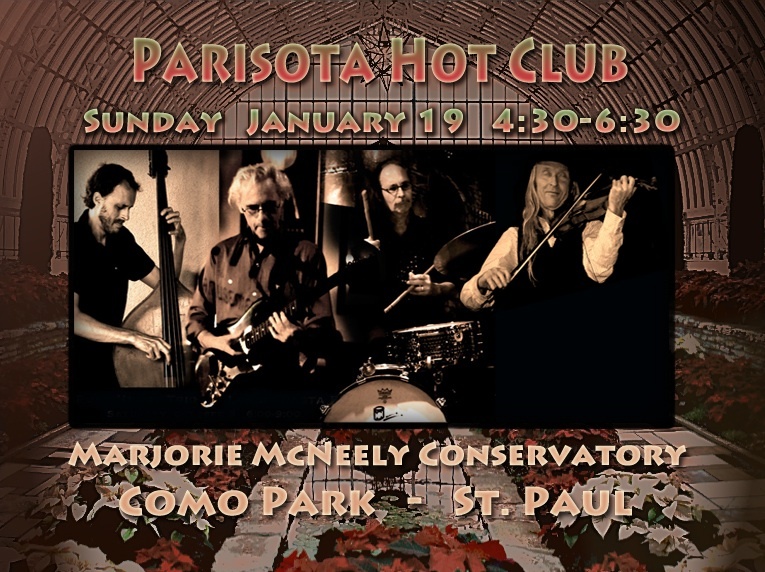 Parisota has also performed most recently with vocalist Erin Radtke and done a number of dates with Milwaukee-based vocalist Robin Pluer since early 2008.